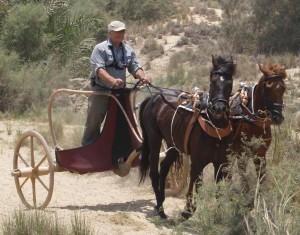 Mike has been fortunate to drive many different types of chariot in a variety of situations. He has twice driven a replica of King Tut’s chariot across the sands in front of the Great Pyramid. Like the Pharaoh’s, he tied the reins around his waist and shot his bow at targets. 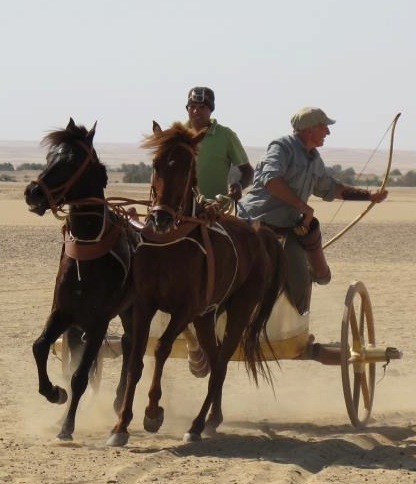 It is surprising how much the team can be steered by movements from the hips.Most usually a driver accompanies a chariot archer. 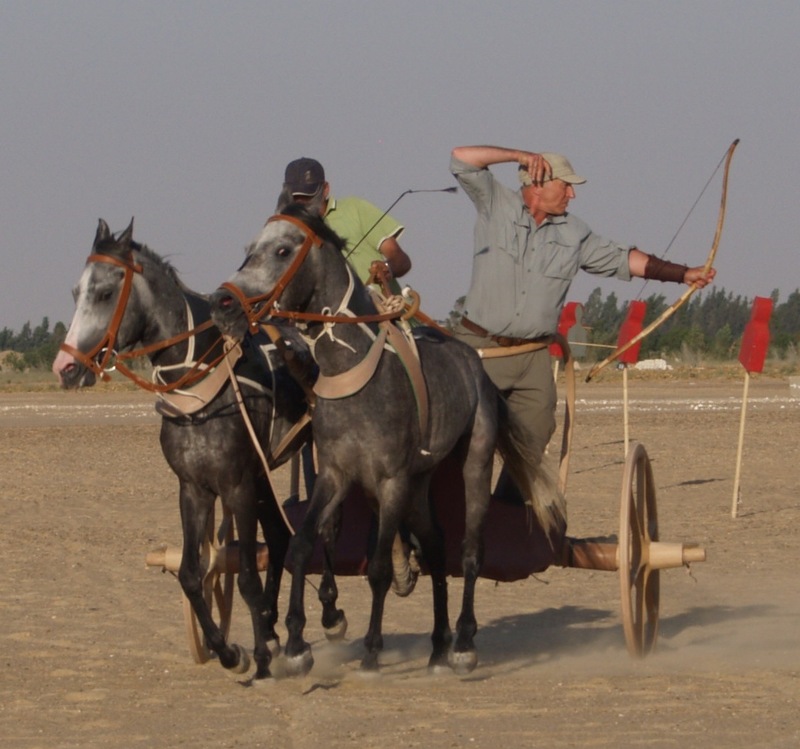 In Jordan, Mike undertook experiments to see how many arrows he could land in a target zone during a wheeling charge. He managed 10 – five on the approach, one as he slewed round on the turn and four on the gallop out. The oblong circuit took 30 seconds, with a straight line of approach of around 250 metres. 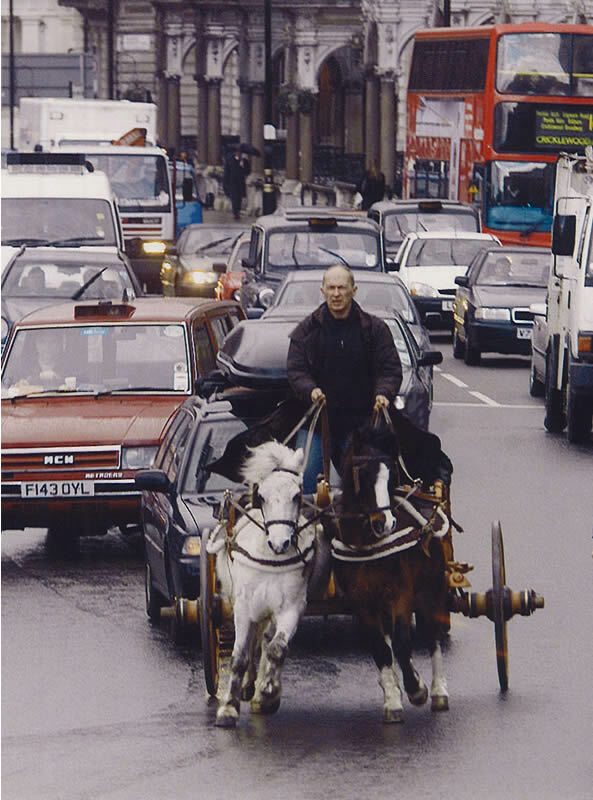 In Turkey he experimented with both two horse and four horse Assyrian chariots and by sheer fluke won a chariot race around the village of Harran, although his wheel disintegrated as he slid round a corner when the scene was filmed again for cutaways. Again in Turkey, he drove and shot from both Mycenaean and Hittite style chariots on the plains of Troy itself. Here he shot rubber tipped arrows at a shield protected companion galloping away on a second chariot and experimented with chariot jousting – there is a Mycenaean wall painting which shows a chariot born warrior with what could be interpreted as a lance. In Britain he led a team to reconstruct a replica of an Iron Age British chariot. The chariot was built by Robert Hurford and is an object of great beauty and splendour. The project was undertaken for a BBC Meet The Ancestors special called “Chariot Queen”. In this talk Mike gives an overview of the chariot in various cultures and discusses the obstacles faced when reconstructing authentic replicas today. Ancient harness systems were entirely different to those used today and explaining this to the horses can be quite a challenge.